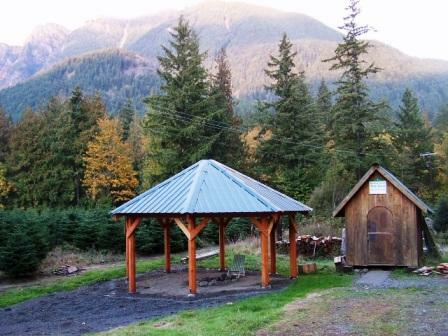 Keith and Scott Tree Farm is a 3rd generation family farm, located on the Middle Fork S Ranch in North Bend, WA, one of the oldest and last working farms in the upper Snoqualmie River Valley. Since 1969, our farm has been producing naturally raised prime beef cattle, lamb, hay and Christmas trees on 95 acres. We proudly grow five types of Christmas trees ranging in sizes from tabletop to ceiling height. The tree farm proceeds are used solely to perpetuate the farm itself and provide college education for the family children and grandchildren. We have trees in two locations, on both ends of the farm; see the orignal tree farm at our Mt. Si Road location; the covered bonfire and river access at our Thrasher Road entrance (directions on our website.) Open Weekends only, until dusk.